When building a small business network, the two most essential pieces of equipment you will need are switches and routers. Though they look similar, the two devices perform different functions in a network. Switches connect multiple devices (computers, printers, servers) on the same network within a building or campus. A switch enables connected devices to share information and talk to each other. Building a small office network isn’t possible without switches to tie devices together. Routers tie multiple networks together. When building a small office network, you’ll need one or more routers. 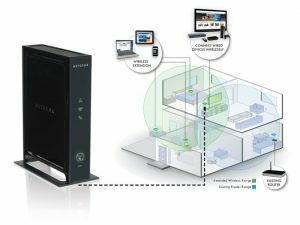 A router connects your networked computers to the Internet. 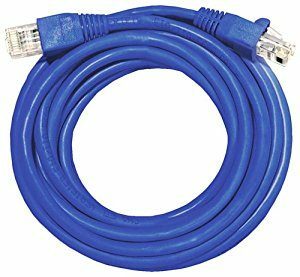 This enables all connected computers to share one single Internet connection. 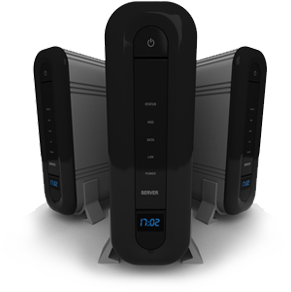 Routers act as a dispatcher, choosing the best route for your information to travel. They connect your business to the world, protect information from security threats, and can even be used to manage the connection of each computer connected to the router. Routers are a great item for your home as well. A cloud router will allow you to be mobile anywhere in your home. Call 844-439-5001 or email us at iwantwireless@clarksonwireless.com or stop by our office at 1004 Ivy St in Stanton, NE for more information. A wireless range extender increases the distance over which a WLAN signal can spread, overcoming obstacles and enhancing overall network signal quality. Our wireless range extenders are by special order. Clarkson Wireless can also set up a server for your Home or Business! Although a small server might look just like a high-end desktop PC, the machines are designed for very different tasks. A desktop computer is designed for one person who needs a user-friendly operating system to run desktop applications such as a word processor, a spreadsheet, an email client, and a web browser. A server runs a specialized operating system designed to support many users. A server also makes it easy for your employees to share data and collaborate, since it operates as a central repository for all of your documents, images, contacts, and other important files. It can host a company intranet, for sharing information with your employees quickly and economically. Set up a virtual private network, and you and your employees can access the data on the server remotely from anywhere you have Internet access. On top of that, a server can automatically back up your desktop and laptop systems, so you’ll never lose critical data if one machine fails or is lost or stolen. Servers are designed to be reliable, secure, and fault-tolerant, with redundant storage options. Having a wired network allows you to have a private, high speed, network at home or at your business for Internet access, file sharing, media streaming, online gaming (console or PC), IP security cameras, or any other use of standard ethernet type wiring. Clarkson Wireless can provide and install all your wiring so you can have the peace of mind that a hardwired networking system can give you. Call us for a consultation for home or business wiring.